Plamen Vasilev has earned his Golden bookmark. Megan Mae Burnett, Coral Wilkinson & Sacha Raif have collected their Gold certificate. 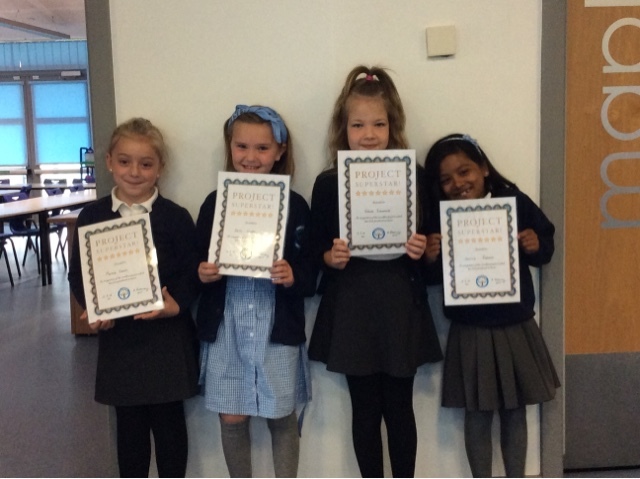 Ellie­ Jo Stapleton, Ebony Ngenge, Athenkosi Nombeko & Alisha March have completed their Diamond tracker. 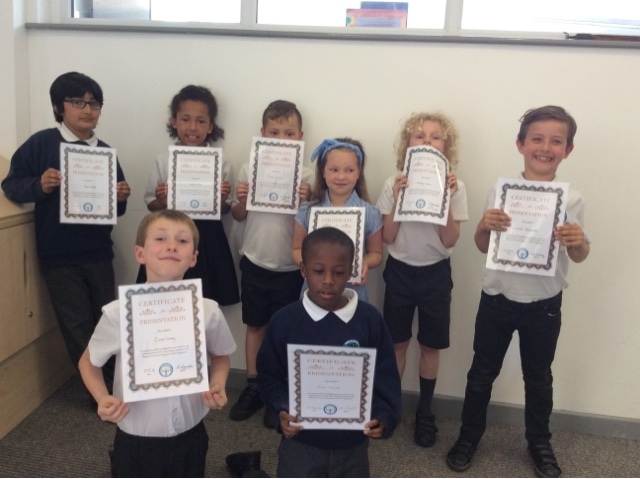 Well done to Khaira Hascar, Kaden Nicol & Tyler Wager who have completed their Bronze reading awards for finishing 10 books! Kara Middleton, Harry Brown & Amandeep Ubhi have earned their silver award. 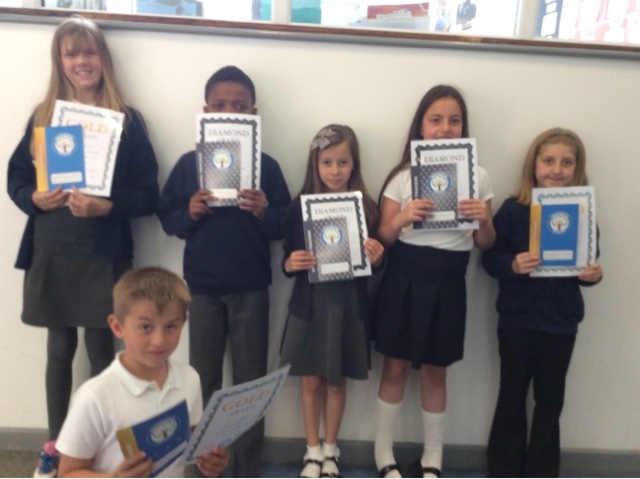 James Wise, Alex Ianache, Michael St. Matthew Daniel, Lilly Reynolds & Elina Joshi have collected their Gold award. Well done! 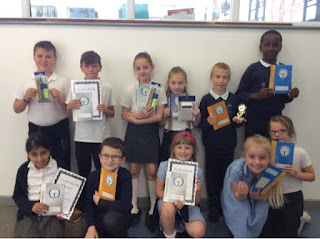 We are very pleased that Cedar class have managed to top the Attendance League this week! They only missed out on a cupcake party by a whisker. 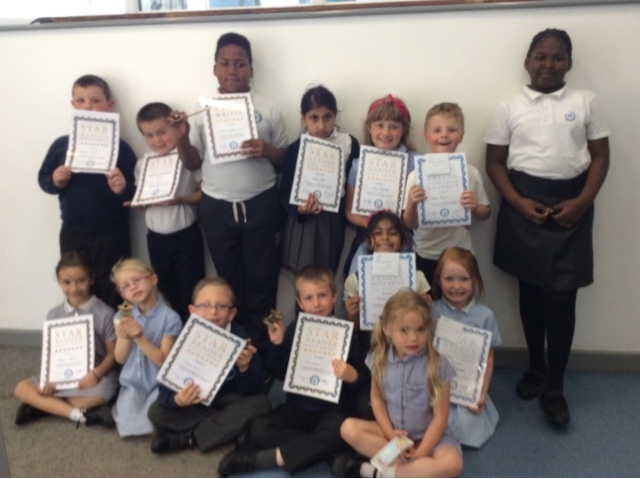 In other news the overall attendance is fantastic… keep up that good work! 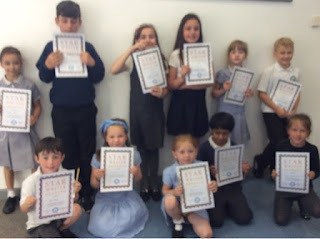 Kimberley Stewart, Oliwier Bartnik, Isabelle Curtis­Rich, John Paul Rensch, Tia Takhar, Megan Lewis, Matthew Murcia, Elinga Garbaliauskaite, Alisha March.Keira Parmenter, Joe Green, Khaira Hascar & Cydney Ridley: these children have all produced pieces of outstanding writing this week. Everyone loves having friends. When you introduce yourself to somebody new they'll feel warm inside too. 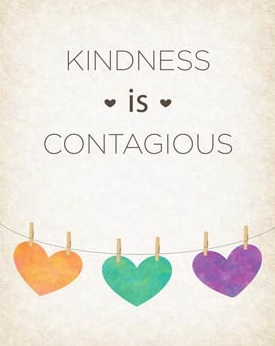 Share the love, the fun and the laughs! 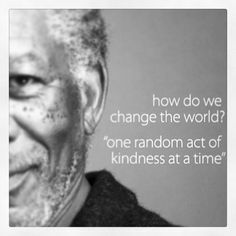 One random act of kindness at a time. The ocean sunfish or common mola, is the heaviest known bony fish in the world. It has an average adult weight between 247 and 1,000 kg! The city and people of Pompeii did not know that Vesuvius was a volcano, as it hadn’t erupted in 1,800 years. Standing 7 feet tall and weighing 315 pounds, Shaquille O'Neal was one of the most dominant and largest players in the NBA. Did you know that some cats can jump up to five times their own height in just one leap? These pupils have achieved one of our Learning Power awards. 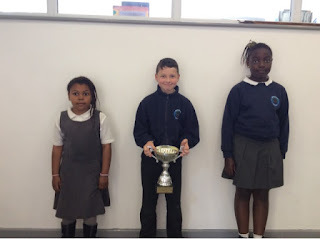 PimWusu, Emily Claydon & Leo Mbata: they have all shown that they can manage distractions, notice patterns and become absorbed in their tasks – well done for your Resilience certificate. These are the key skills that our children will need to learn effectively in class and be successful later in life. 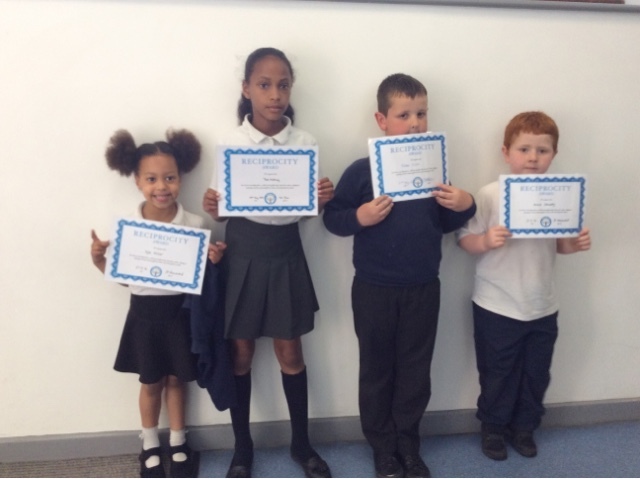 Archie Dempsey, Kaden Nicol, Kyla Millar, Zac Nickson & Tiara McGillivary have demonstrated effective reciprocity this week – able to listen carefully, work collaboratively and take turns. Martina Rensch and Laicey Wall are both picking up the Golden Bookmark. Grace Moody & Lillie Jo Guidotti have both collected their pencil and pen set. 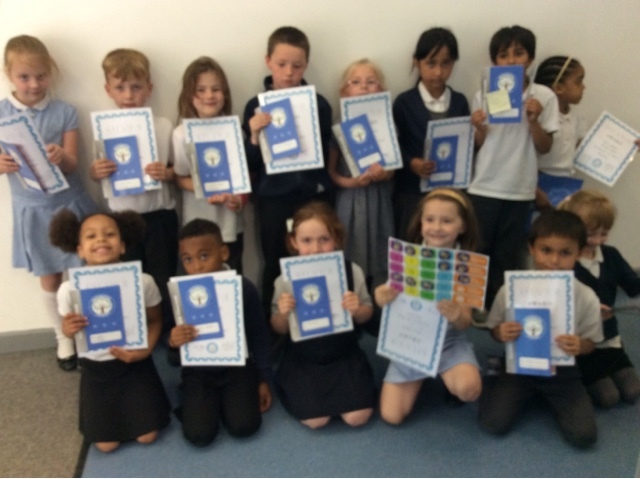 Well done to Vinnie Brand, Elina Joshi and Lilly Reynolds who have completed their Platinum tracker. Freddie Lewis has the Star Prize. Lewis Makolli has completed the first part of the tracker journey. Jacob Owsley has managed to reach his Prestige pencil and pen set while Ayomide collects his Golden bookmark. 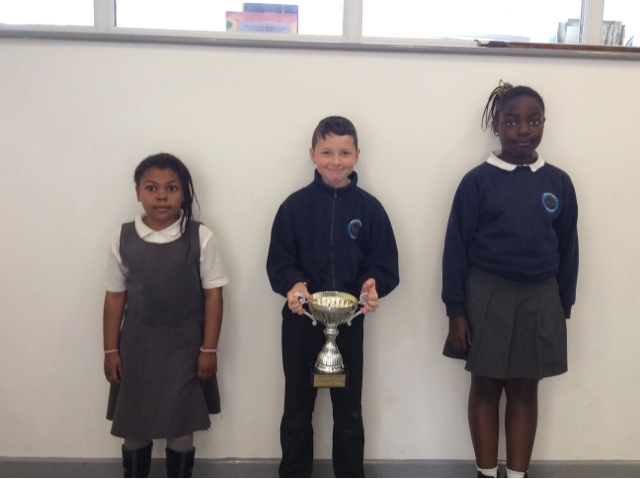 Joe Green, Hayden Northwood & Elizabeth Byamugisha have all collected enough merits for their Silver pencil. Nothing to do over half term? How about a bike ride? To reward those primary schools which do great work in the borough to promote sustainable travel and its benefits, Havering Council is offering free places to pupils and parents on 12 local guided cycle rides led by qualified cycling instructors. There are two route options, off-road with optional on-road sections, one starting and finishing from the Ingrebourne Valley Visitor Centre in Hornchurch and the other from RSPB Rainham Marshes. 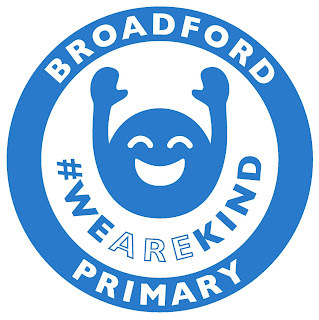 There will be a friendly, supportive environment suitable for families and children, with two national standard instructors leading the rides (maximum 12 riders per ride). Morning rides will meet at 10am for a 10.15am departure and 12pm finish. Afternoon rides will meet at 1pm for a 1.15pm departure and 3pm finish. Riders are advised to bring a bottle of water and waterproof clothes with them, in case of hot weather or rain. Cycle helmets are also strongly recommended. To book your free places please visitwww.havering.gov.uk/bikeabilityride where you will be asked to select your preferred dates from the choices available. Places will be allocated on a first come first served basis and your booking confirmation will also include further information about the ride. 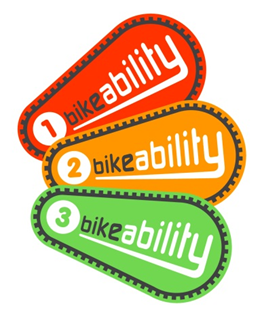 Bikeability Ride is delivered by qualified National Standards Cycling Instructors (NSIs) registered with the Department for Transport. Instructors will undertake a thorough site-specific risk assessment before each session and continue to assess risk throughout the session. A copy of risk assessment documentation will be available to you prior to the start of the session. Congratulations to our latest Tracker award winners. 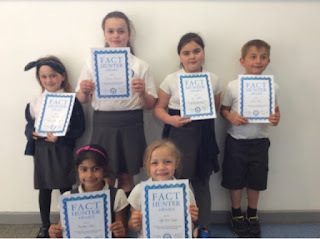 Maisy Cohen, Oliver Dodge, Olivia Bundy, Dora Lewis, Keira Taylor, Phoebe Adams, Tommy Cressey, Summer Wingrove, Michael Ramalingam, Violet Chilton, & Khaira Hascar have all completed their bronze tracker. 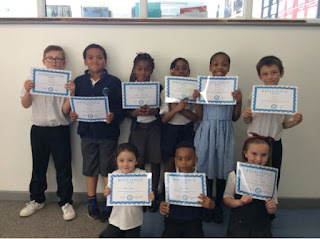 Rolan Vumuka, Archy Gore, Cruz Carey, Arhann Kaushal, Rhianna Morton, Ronnie Gayle, Kimberley Stewart & Daniel Kalusha: all of these pupils have shown that they are making a sustained effort to improve and develop their presentation. By carefully forming their numbers and ensuring their handwriting is neat and legible they are producing much higher quality pieces of work. 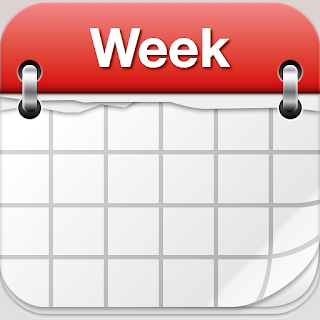 We are very conscious that we haven’t held a Parent Council meeting this term. This is for two key reasons: the consultation over parking and the Federation consultation. However we will be setting a date for the next half term to discuss with you the recent proposals, update you on the next steps and ask for your views and ideas. We also hope to be able to show you the completed classrooms and plans for the new building as well as the timeline for demolition. The date will be published as soon as we know what the answer is to the Federation, which is just awaiting the agreement of the Secretary of State. it has served the children well since 1953, and it was only supposed to last for 10 years! We return to school on Monday 6th June. On the Tuesday that week we have a visit from the author Tony Bradman and our Y6 pupils have their photo with the Romford Recorder. Our KS2 choir are rehearsing for the Junior Music festival and in the evening we have the intake meeting for Reception parents for September 2016. 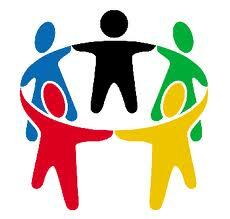 Wednesday sees Willow have their Sharing Assembly and our Y5 pupils are off to City Hall for the final of the Count On Us Challenge! Thursday 9th June sees the return of the Cycle Club with Phil. On the Thursday afternoon we are hosting a Rounders tournament and Cedar class have their trip to the Brewery as a reward for their fabulous attendance. Finally we finish the week with another Cycle Club. We are delighted to welcome the parents of pupils in Willow class for their Sharing Assembly. This will start at 9.10am. Year 4 pupils need to have their swimming kits ready for the first day back as swimming starts on Monday 6th June! Don’t forget to pick up your copy of the Romford Recorder this week. Our mathematicians are featured with their exploits at City Hall. Plamen, Lewis & Natalie have earned a seat at the finals, which will be held on June 8th. Evening Standard about the Gold Medal winning gardener from The Chelsea Flower Show who is coming to talk to our Y6 pupils. Their current topic is all about slavery, and her garden featured a design based on William Wilberforce. 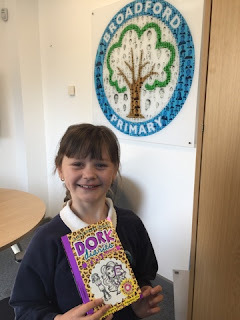 Well done to Lillie Mersh for completing 75 books at home. 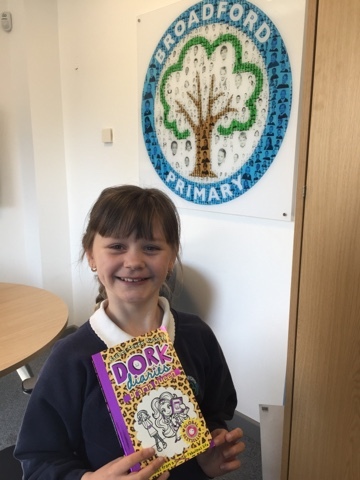 As a reward Lillie chose 'Dork Diaries - Drama Queen'. 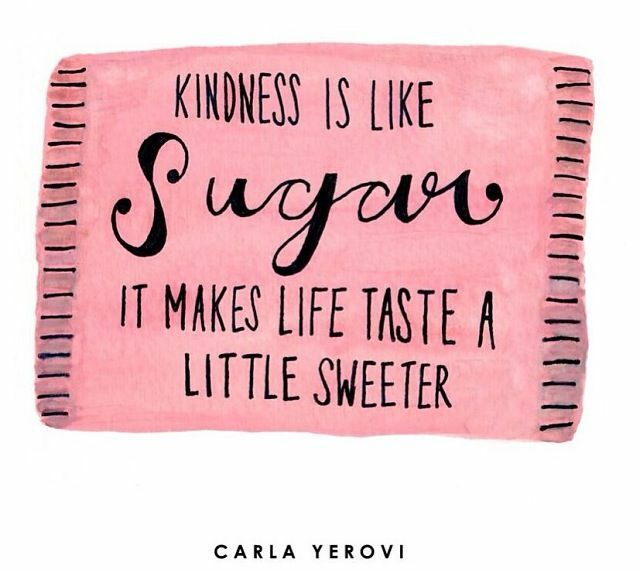 Sometimes all it takes is a hug, a touch on the arm, a kiss on the cheek, or a squeeze of the shoulders to make someone's day. So when you are with your loved ones, don't hold back on affection. It is often said that actions speak louder than words, and nothing says I care about you" better than a spontaneous hug. 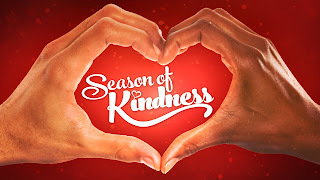 Let them know you care and be generous with your affection. Those who give affection get as much satisfaction out of it than those who receive it. In fact, hugs have been shown to reduce heart rates, improve overall moods, lower blood pressure, and increase nerve activity, just to name a few benefits of affection. 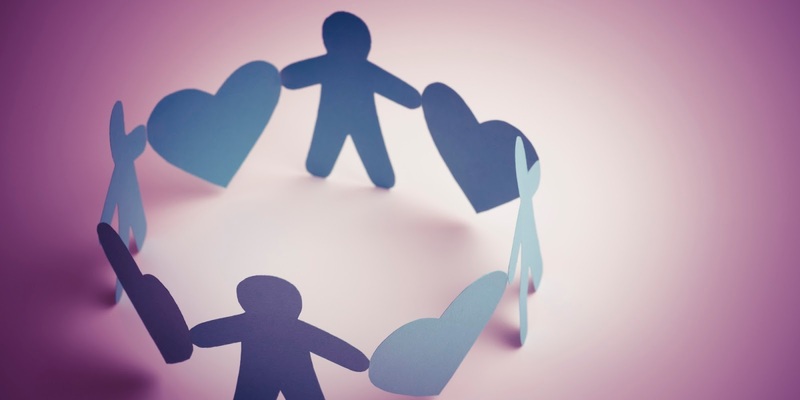 Create an "affection rule" in your house. At the same time everyday, regardless of what is going on, make it a rule that you must hug at least one other person in the house. No exceptions. If you are in the middle of doing dishes, or vacuuming, or reading, or watching TV, stop. Take a moment to give affection to your loved ones. Affection is not comfortable for everyone. 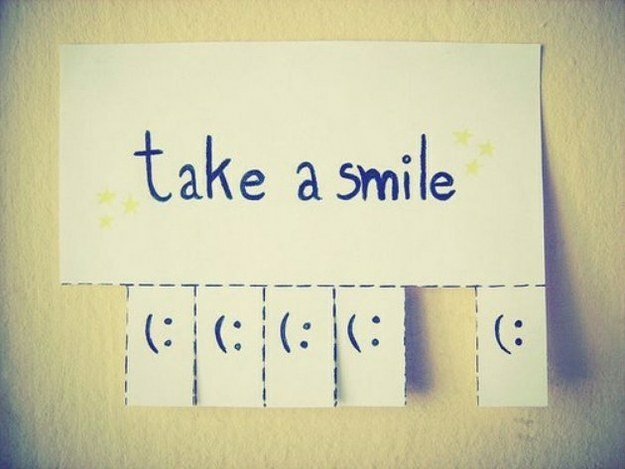 If you aren't comfortable hugging or holding a hand, simply smile or offer words of encouragement. The next time you are travelling by bus or in a public place, offer your seat to an elderly person. This is a great way to show your respect for the elderly, and because you are in a public place your actions will highly visible to many bystanders. This is a great opportunity to set a kind example for all those around you. You are showing your elders respect in a kind and courteous way. Make it a personal goal that whenever you are on a crowded bus, train or public place (doctor's office, waiting room, etc.) that you will always give up your seat for someone. Offer it to an elderly person first, but you can also offer it to anyone! Perhaps there is a pregnant woman or a man struggling to hold a couple of bags and papers. Offer your seat to someone who needs it every time you have the opportunity. This will require you to always be aware of your surroundings; don't get lost in a book or magazine, or zone out listening to music. Be active in looking around you and making sure everyone is okay. You may discover other ways to help people other than giving up your seat. You could stand near a door and hold it open for people as they come and go. Or you could pick up items that someone else dropped. Simply pay attention to others around you. 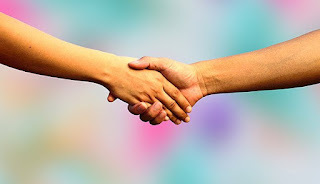 You might even end up starting a conversation and making a new friend! Many children in your community don't have access to books, that's why libraries are a great resource. Anyone can sign up for a library card and enjoy thousands of books for free. Donate your used books to your local library or an organisation that provides books for children. 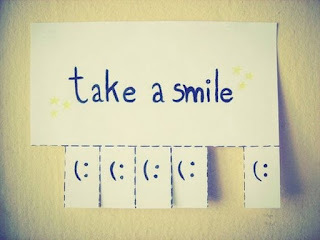 Include a kind note if you wish. Keep It Simple Bring a used book to school to share with your classmates. You hear all the time on social media of people getting anon hate. Why not send anon love instead? 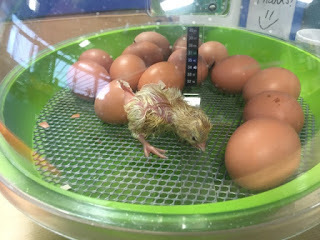 Our Year 2 pupils have been very excited to experience the wonder of chicks hatching in their classroom this week. They have seen the eggs wobble and heard cheaping from within the egg, just before the hatching commenced. Temperature and humidity levels have been closely controlled in sophisticated machinery during the main incubation period. Every moment was able to be observed through the 360 degree, high visibility hatcher. 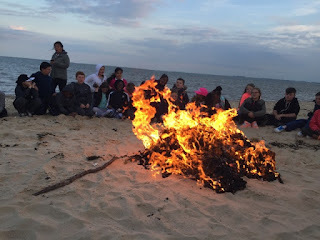 Our pupils didn't miss a thing! 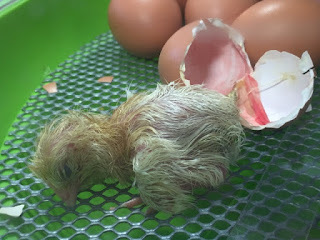 Once they were dry and fluffy, the chicks were transferred to the brooder box. With a heat lamp, bedding, food and drinker, the chicks had everything they could need. My teacher let me name one of the Bubbles. He is so soft and fluffy. "The eggs project always proves to be one of the best resources that our school pays for during the year. Every single child gets so much out of the experience that I can honestly say that it is the best use of the science budget ever spent! The lessons focused on different aspects of the hatching chicks and the interest even encouraged our most reluctant learners to want to be involved!" 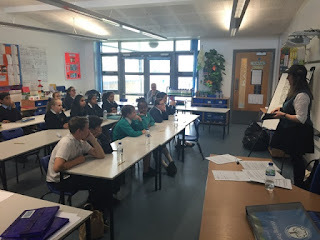 We were delighted and honoured to welcome the author Frances Hardinge to Broadford last week. Her book 'The Lie Tree' was the first children’s book to win the overall Costa prize since Philip Pullman in 2001. Described as work of ‘great narrative tension’ and ‘a multi-layered page-turner’ the book has captured the imaginations of our pupils... and staff! 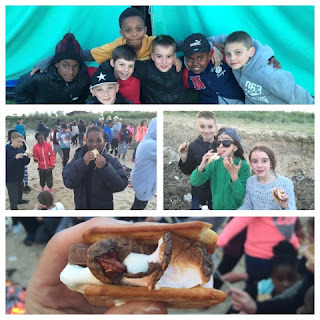 The day was made extra special as we had guests from Bancrofts Independent School and Mead Primary. 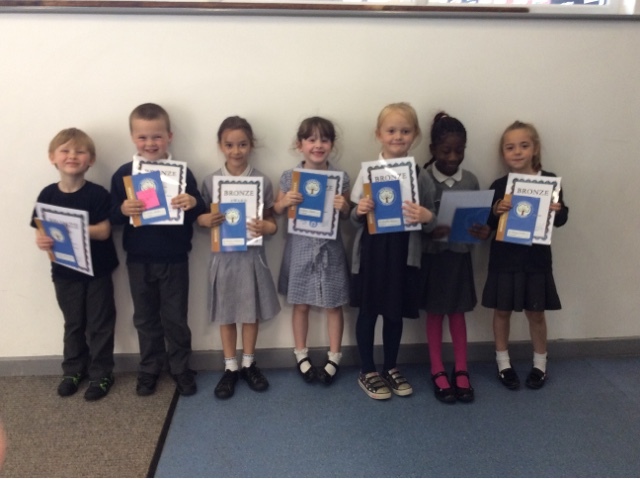 Their pupils all came clutching copies of Frances's stories, eager to have them signed. 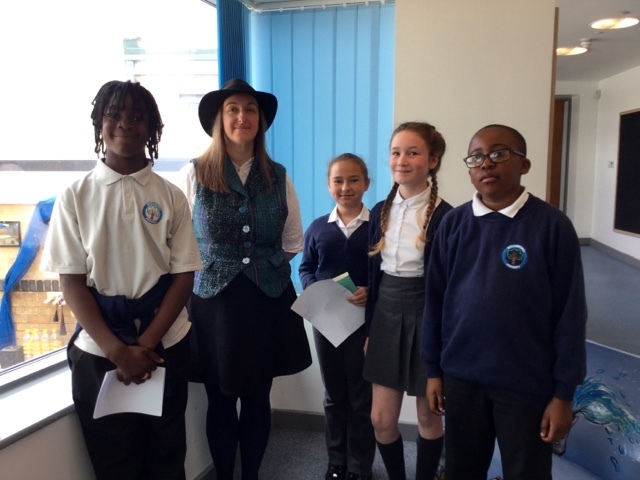 First Frances delivered an assembly to these Year 5&6 pupils, telling them about her career development as an author. Apparently her interest in crime and mystery started at a young age. I had set up a childhood detective agency. We would try to solve crimes using talcum powder and sellotape to detect finger prints. We didn't catch many criminals but we did make plenty of mess! A. For each of my stories I have to complete a vast amount of research. Some of this is not exciting: finding out about costumes, key dates and place names. However some research is very exciting. For my story Gullstruck Island I got to climb down into real volcanoes and investigate underground caves so that my descriptions were accurate. Q. What is the best fact you gave found out? A. Without a doubt the best fact I discovered was to do with the Victorian period. Photos were very expensive at that time and sometimes people died before they had their one family photograph. It meant that the dead would be dressed up and placed into the family portrait so they still had a memory of the dead relative! Q. Is it hard work to get a book published? A. Getting a book published takes a very long time. Overall I will complete about 4 drafts. It takes up to a year for the first one to be completed. After each is done, it is sent to my editor. It is marked a bit like your work, but it can take months to complete the re write. Q. Do you do the drawings on the cover of the book? A. I don't... I wish I could. I don't even get to meet the artist for the cover art work. However I have always been pleased with the finished product. Frances went on to tell the children how she was encouraged to write by her mother and father. They had read to all their children when they were growing up. She had also been inspired by her Grandfather who left school at 14. Despite this, he got hold of books and educated himself, becoming a teacher and writer (getting 10 books published)! It was a great day to celebrate high quality stories and meet a wonderful award winning author! Our Junior Travel Ambassadors have been published again in the Taking Steps magazine. This is the publication that promotes sustainable travel and has some fun games too. 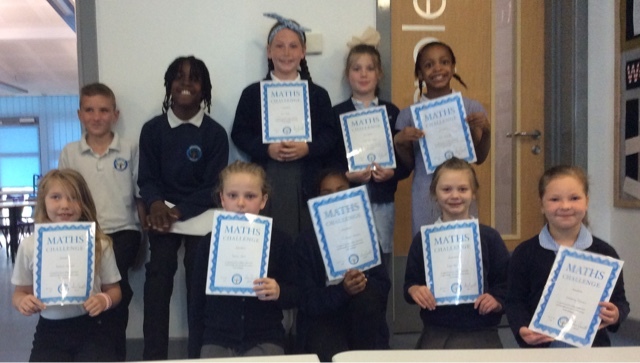 Well done to the latest batch of mathematicians who have taken part in the weekly Maths Challenge: Isabelle Reynolds, Grace Gore, Ella Nash, Yemi Adedipe, Kimberley, Lillie Mersh and Matthew Leadbitter. Don't forget to keep checking for the new challenges! Alisha March has collected her Diamond Prize. 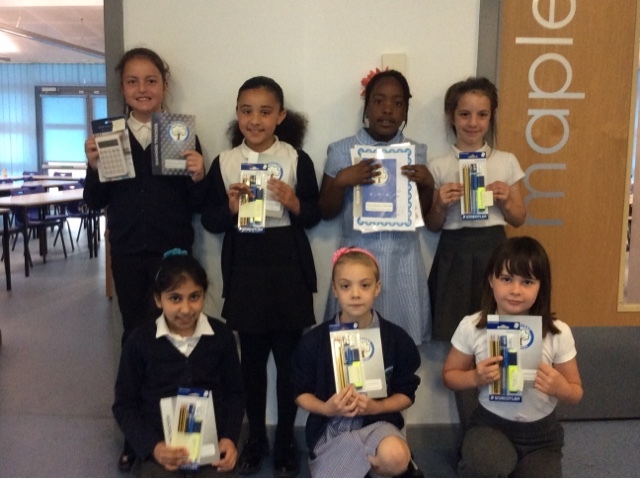 Tia, Jessica, Brooke, Courtney and Elina have all collected enough merits for their Platinum pencil & pen set. Chiwendu has now finished her Silver tracker and moves onto Gold. 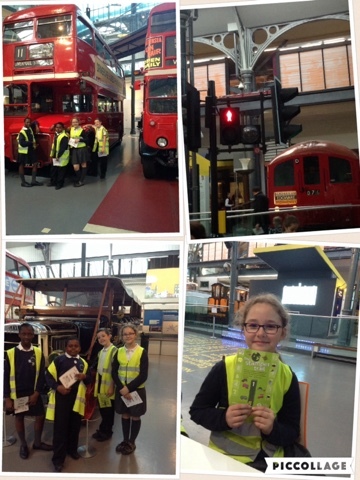 As part of the role as Junior Travel Ambassador, our representatives were invited to visit the London Transport Museum by Elaine Keeler (Havering Road Safty Officer) along with a team of Safer Transport PCSOs as a 'thank you' for their hard work since being in office. 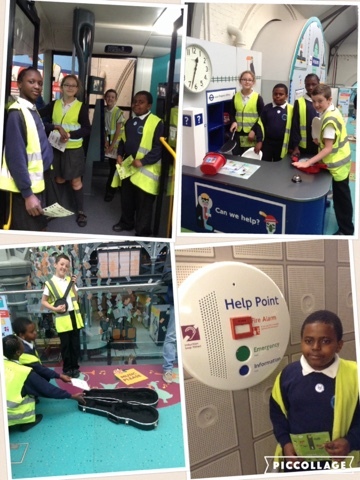 The four Year 5 pupils- Harry Vincent, Elizabeth Ositelu, Lebohang Sibanda and Suada Cacaj- have been allowed full reign of this fascinating place and even attended a poster workshop to create their own designs. Did you know that at the time of writing this, there were 4341 buses in operation in London between 11am and 12pm? We also discovered how closely the bus and tube systems are integrated; 9 out of 10 of the busiest bus stops in our capital are located right outside tube stations! Suada, Maple, said "The museum is an amazing place because there are so many old vehicles to look at and a lot of interactive and simulation games!" 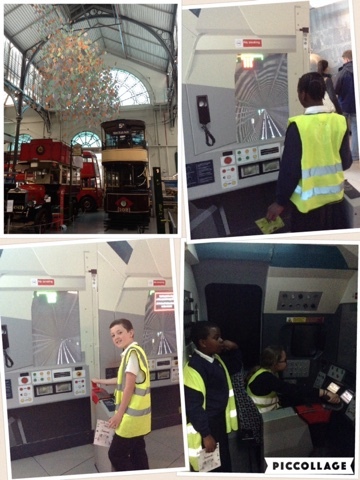 The highlight for the children was the tram simulation as they were able to have a go driving it! 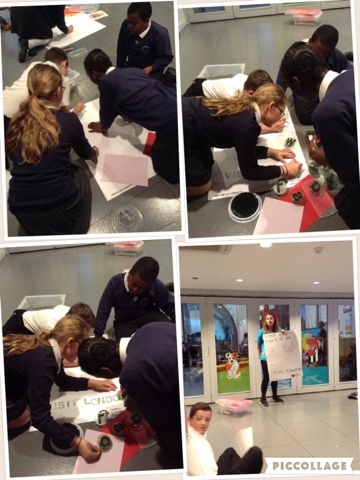 The poster workshop introduced the ambassadors to authentic posters which used to be displayed on the London Underground. The posters ranged from 1920s adverts for the zoo and later posters reminding people of tube etiquette. The children then created their own. What a wonderful and eye-opening day for our JTAs. 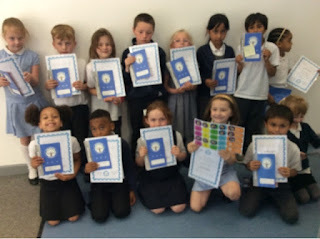 Well done for doing such a fantastic job at school! 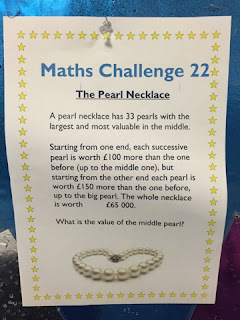 Day 25 - Give your Teacher a Surprise! Being a teacher is often a thankless job. Teachers put in numerous hours behind the scenes that many pupils don't know about reading books, researching teaching strategies, planning, and creating resources. Be sure to thank your teacher for their commitment to you and your class every once and while. If you really want to be kind, think of a way to surprise them. Get your class together and think of something your teacher would really appreciate. Your teacher puts a lot of effort towards making sure you and your classmates have everything you need before the start of each day. Everyone needs to know the work they do is appreciated. Let your teacher know today! Just say "Thank you" at the end of the day! 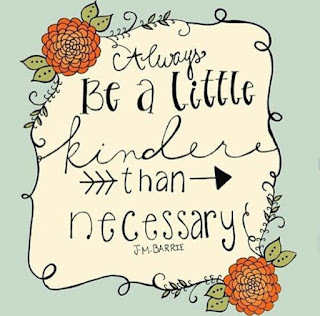 Make it a priority to always thank them, even after a particularly difficult day or week in school. So often we are willing to leave a comment if something upsets us; start thinking positively! The next time you read something that really encourages or motivates you, let the person who reads the book next know! Everyone appreciates feedback! When you go out of your way to let someone know what you have read inspired you, chances are you will make their reading more enjoyable and brighten their day! It will make the next person really want to read the book they have just borrowed! 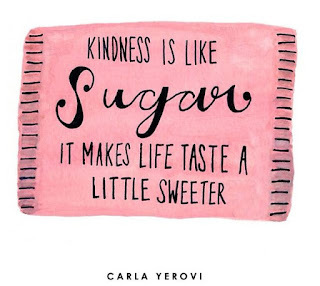 How beautiful a day can be when kindness touches it! Congratulations to Martina, Emily, Vakare and Samira who have all been carrying on their learning at home. I am really proud of how all of these girls have chosen to extend their learning at home. 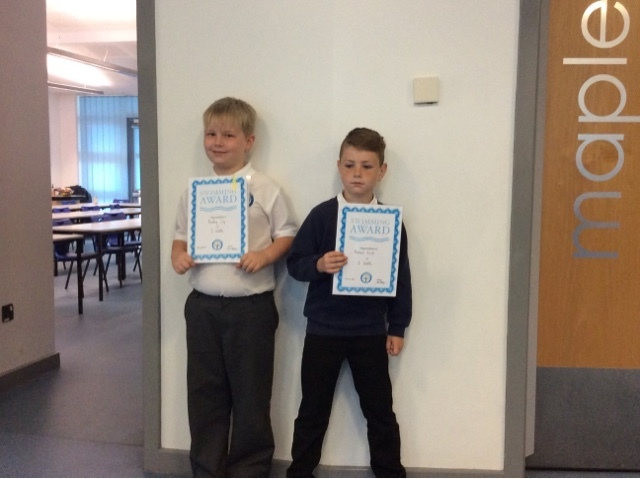 Congratulations to Bradley and Michael who have both earned the next stripe as part of their swimming challenge! 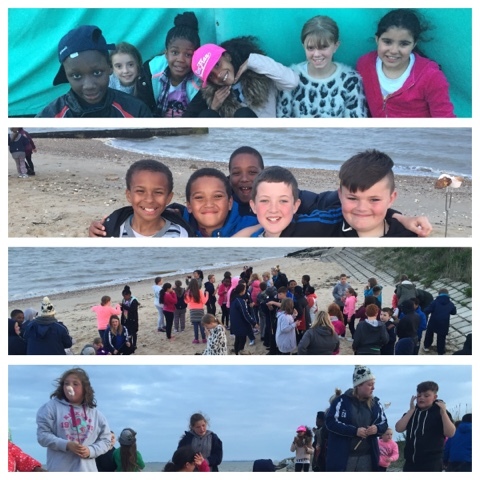 Thank you to the staff who helped to ensure that the visit to Mersea Island was a success. Our pupils have a wonderful time and got to challenge themselves in a very different environment to Harold Hill. My favourite part was the climbing. It was tough at first, but I made it to the top. Everyone was cheering me on so I didn't give up! I loved the archery. You had to think very carefully before you made the shot. By staying calm and not getting distracted I was able to score a Gold! The food... I loved the food. We had smores on the beach which were delicious. Miss Chau also allowed us extra helpings at dinner. 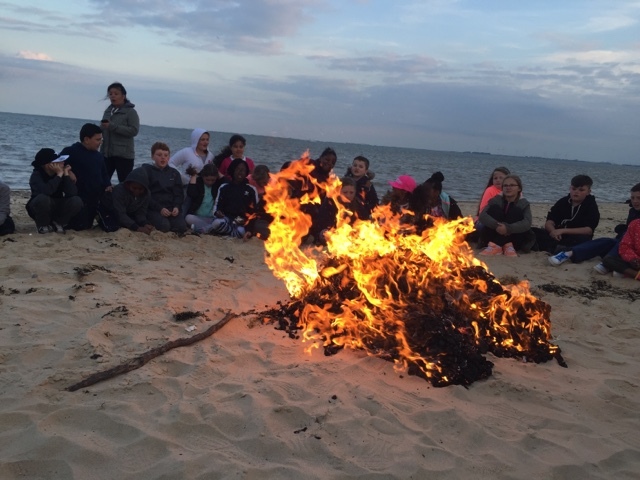 Make sure you watch the video to see the children enjoying their camp fire on the beach! Don't forget to visit the Maths Challenge board this week and put your answers on. Just make sure you remember to include your full name and class. 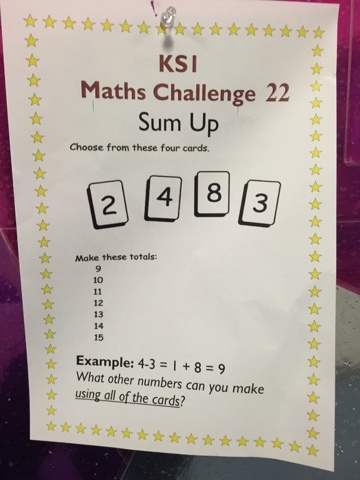 If you want to try it at home, why not see if Mum and Dad can help! Church 1v23: Mind The Gap Campaign!